The Beamos ..a recurring enemy or trap in the Legend of Zelda Dungeons since LoZ: ALTTP. To the left you see our first illustration of the Beamos in Skyward Sword, on the right image you can see how Beamos looked in the game. It is shooting a beam from its one eye which is constantly moving and Link has to be in movement all of the time to get not hit by it. 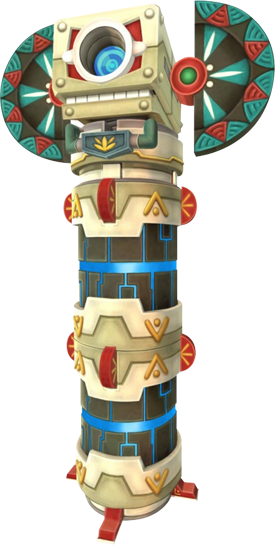 Sometimes the Beamos are invincible, sometimes like this Beamos from Zelda: Skyward Sword can be destroyed. 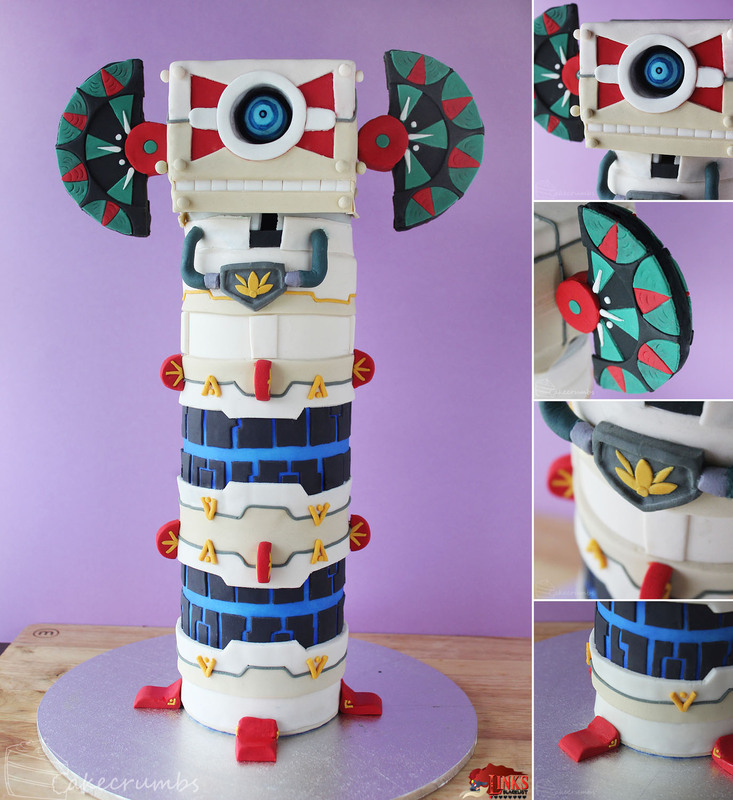 “The cake stands at over 40cm tall and is composed of one long cylindrical cake, with a rectangle cake on top. I carved a recess out of the rectangle for the eye to slot into, but the depth in the body was created through fondant work alone. This took about 50-60 hours all up. I don’t even have a concept of time any more. Every little piece is hand cut or moulded. I thought this would be a ‘quick’ cake but I neglected to realise how much was involved and everything took a million times longer than planned. The part I struggled most with was those pipes. They kept falling off and I was practically mashing them on by the end. They’re messy and pretty much spoil the look of the whole cake.